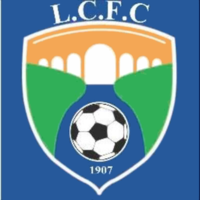 On Saturday 10th November 2018, Baldock Town welcome the “BlueBoys” of London Colney FC to the New Lamb Meadow. Our opponents have an excellent recent record in the Spartan South Midlands League being runners-up in both 2014-15 and 2015-16, and becoming champions in 2016-17. However upon topping the table, the club declined the opportunity of promotion to the Isthmian League with that option being taken up by runners-up Hertford Town instead. They topped off an unforgettable campaign in their Championship season by also becoming League Challenge Trophy winners, beating Thame Rangers 3-0 in the final at Biggleswade United’s Second Meadow. During that cup run, on the way to lifting the silverware, they beat Baldock Town 2-1 at Roker Park in a 3rd round tie. Two goals from top scorer Jon Clements (now at Welwyn Garden City) took London Colney safely through, with Michael King (now at Hitchin Town) replying for the Reds. This season has been something of a struggle for the “BlueBoys” who currently hold a record of P-13 W-4 D-1 L-8 Pts-13. They currently occupy 15th place in the table, a place below Baldock Town having played 3 more matches. London Colney visited the New Lamb Meadow as recently as last Saturday where they were beaten by Arlesey Town 4-0. A Leighton Town (PDC) D 1-1 (won on penalties). PDC – Premier Division Cup. BALDOCK TOWN 2 BIGGLESWADE UNITED 3 (HT 0-1)  BALDOCK BEATEN IN BRUISING BATTLE!